If you’re with a good insurance provider, they will give you the opportunity to buy auto insurance with no down payment required. This avoids having to pay a lump sum up front to get covered. Instead, you can opt for a monthly payment plan, which certainly takes away that stress of needing to come up with a big upfront payment. However, when you go this route, you may be charged a little bit more, so you need to weight the pros and cons. Some providers charge up to 20% of the entire policy up front, making you pay a deposit before your monthly plan gets put into action. The good news is for those without a lot of cash, who still need to get covered, there are insurers that will give you the first month of coverage for free. You will end up paying a bit more for the policy, but it can be a lifesaver if you are low on cash. Here are a few tips to get auto insurance with no down payment. Most drivers choose to go with a monthly payment plan, rather than paying for the policy cost upfront. Insurance is expensive and some premiums can cost well over $2,000 per year. If you are a high risk driver, yearly premiums can be over $3,000 annually. Having to come up with a large amount of money all at once can be difficult, or even impossible for many people. However, for slightly more, you can get excellent auto insurance with no down payment policies and easy monthly rates. Some companies take advantage of monthly plans by charging extra fees and interest. This is why it’s so important to shop around for the cheapest coverage without add-on costs. Direct insurers like Progressive and Geico have excellent installment payments for low income drivers. Policies can be bought online and automatic payment plans can be set-up in minutes. You will reduce your premiums in many ways. One example is to opt for larger voluntary excess. This is the amount of money you pay if you file a claim. The provider will cover the gap between the cost and the real value of that claim. By paying a larger excess, your premiums will naturally be lower each month. But remember, you still might have to pay out of pocket in the event of an accident. You can also opt for a higher deductible which will lower your monthly premiums by about 10%. This is a smart move if you have a bit of saving and consider yourself a safe, accident-free driver. Last, take advantage of all the discounts you can and watch your monthly premiums go down. Whether you need a liability only policy or comprehensive coverage, there’s a good chance you can buy it with the first month of coverage free. Before you worry about monthly payments, you need to decide on the coverage that works best for you. 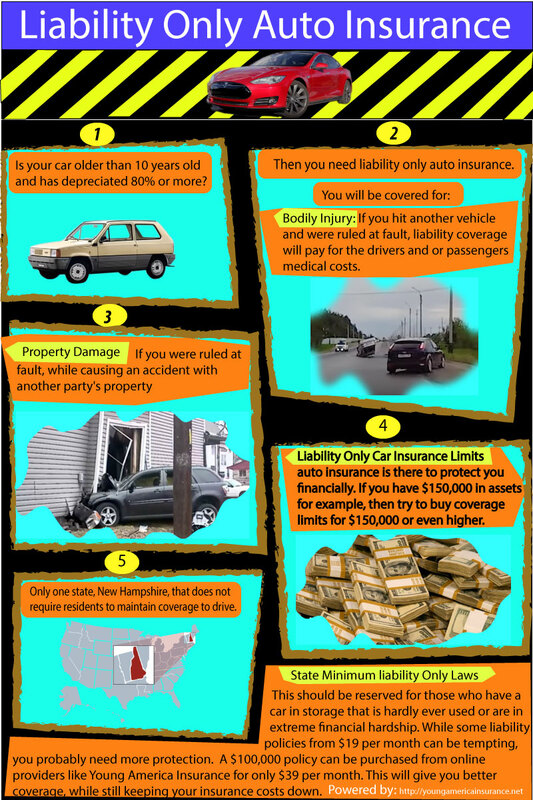 If you have an older car that is paid off, that’s only worth a few thousand, it might sense to get a liability only plan. On the other hand, if you have a new financed or leased vehicle, then you’re going to need to buy comprehensive insurance. This is the gold standard of protection and you can get it with zero down from select insurers. Not all drivers can qualify for an auto insurance with $20 down payment car insurance plan. Some people that have bad credit, numerous at-fault accidents and multiple claim filings will not qualify. In this case, a small deposit from $20 can be made to secure coverage. It’s worth noting that newer, more expensive cars often require higher insurance down payments. If this fits you, check around and try and get insured with a deposit from $50. You might even be able to secure an auto insurance no money up front policy from a direct provider like Esurance or Progressive. Don’t settle for the first plan you find. When shopping for new insurance, be sure to take the time to get multiple quotes and compare all the best deals. You want to check out at least 8 quotes from national and regional insurers. Get started by entering your zip code. Make sure that any company you consider doing business with is reputable and in good financial standing. You can check out a companies ratings online at A.M. Best. You have many different choices on your payment plans. One option includes matching your budget with the appropriate insurance plan. If you can only afford collision insurance with low limits, then see what carrier has the best monthly rates. You can always speak with a representative online, over the phone, or even in person to help you further customize your plan. The first step you’ll want to take is looking at your personal budget. Some people get paid the first of the month, while others get paid in the middle. With some insurers, you can set up your monthly payment on the day of your choice. This allows you more flexibility and time to make the payment. Of course, the option to pay in full is always there. If you pay off your policy, you don’t need to worry about budgeting for auto insurance until your policy expires. Remember, your payment schedule can be planned according to your budget and spending ability. Keep in mind that the method of payment can limit or enhance your insurance payment options. For example, if you get insurance now pay later with a company that isn’t located near you, then paying in person is obviously out of the question. Air Bags – You can save up to 5% if you have airbags installed in your car. These include driver, front passenger, and curtain airbags. Daytime Running Lights – Some vehicles run lights during the daytime naturally. Having this feature can get you a small discount. Anti-Theft – Anti-theft systems can save you 2% or more of your policy. That adds up and it also helps track down your car if it’s ever stolen. Safe Driver – If you’ve gone three or more years without an accident and you have a great driving record, then you’ll certainly be rewarded for it. You can save up to 20% by being a safe driver. Seat Belt Usage – Buckling up is important for many reasons. If you always wear a seat belt, you can get a small discount. Driver’s Ed Class – There are also different types of driver’s education discounts that you can get. If you complete a class from a certified instructor you can save 5% or more. Good Student Discount – Being a good student affects more than just your grades. You can get up to 15% off your insurance costs if you have a great academic record. This usually counts for people between the ages of 16 and 24. Military Discount – Being in the military will also help you save on auto insurance. Companies like GEICO will give back to those who serve with a discount if you are retired or an active Military or National Guard member. 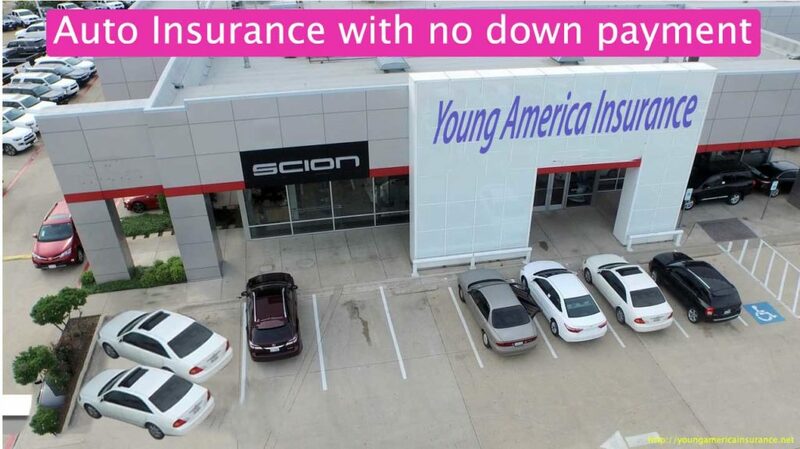 It’s easier than you think to find an insurance plan with zero down thanks to the internet. You can compare quotes on any device connected to the web, even a smartphone. Start today by entering your zip code. 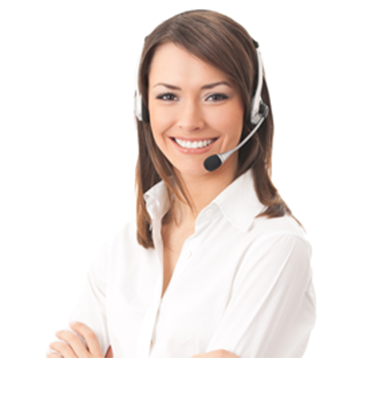 In a few minutes, you’ll find the best online rates available. Save hundreds of dollars by buying auto insurance with no down payment. Start comparing online quotes and lower your rates.